Just launched up a new blog over at HarvardBusiness.org called Work Smarter (RSS). Expect to find less nerd and more business in the posts I publish there compared to this site or Lifehacker. A new one will go up once a week. 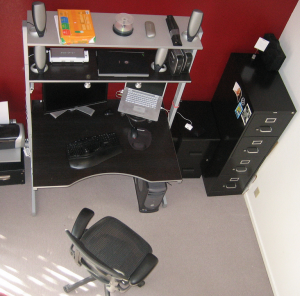 My first post published yesterday on how to organize your workspace for maximum productivity. Having moved three times in the past four years, this has become my mental checklist when reassembling my desk. I’m still finding my legs and meeting the audience over at Work Smarter, but I’m thrilled to be hanging out with the brilliant folks there, at least virtually. Congrats, all the best there!